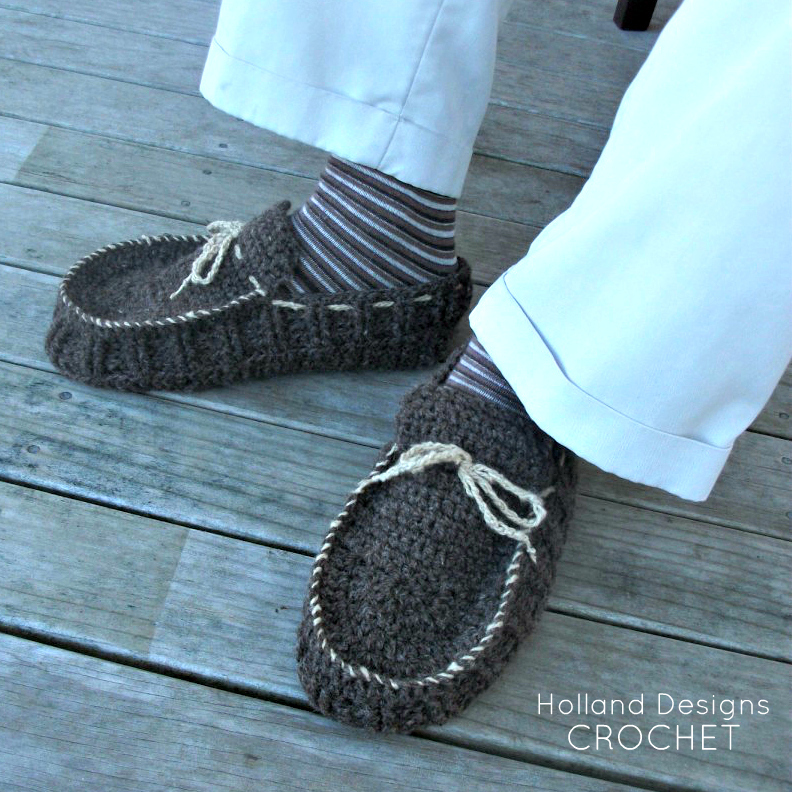 I've been wanting to design some men's moccasins for a while and am so pleased I finally did! I love how these turned out. The slippers are made in 2 pieces - sole/upper and the toe/tongue. Features decorative whip stitching at the toe and tie that threads around the ankle for a great fit...just like real moccasins! The pattern is available on Etsy and Ravelry.